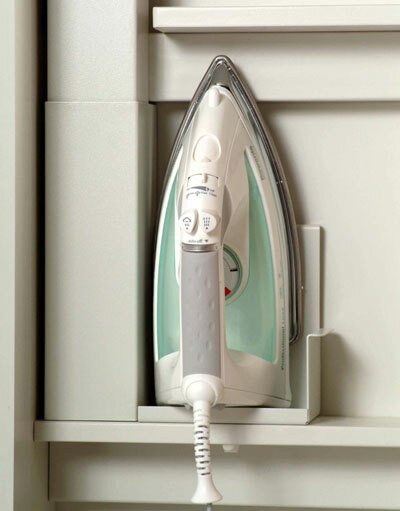 IRON-A-WAY continues as an industry leader in the manufacturing of quality, customized built-in ironing centers for residential and commercial use. IRON-A-WAY has earned a reputation for setting the standard in the residential market and prides itself on its craftsmanship and variety of options available to the homeowner. You can select one of our standard models or add additional options or features that best fit one’s own personal style and décor. Visit our website to download CSI 3-part specs or CAD drawings to place into your plans. 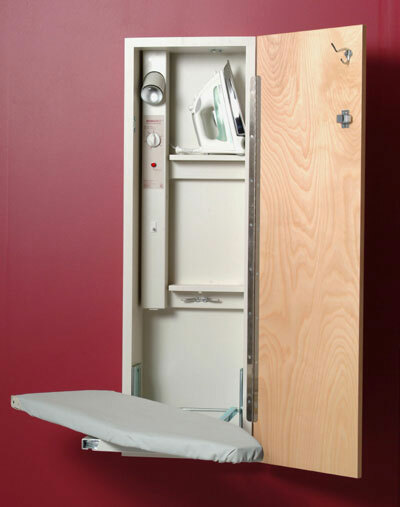 The Model A-42 is skillfully designed with a 90 degree left/right, industry standard 42-inch, ventilated steel swivel board, giving flexibility in confined areas like corners in the laundry room or kitchen. The Model NE-242 is a surfaced mounted, non-electrical unit. 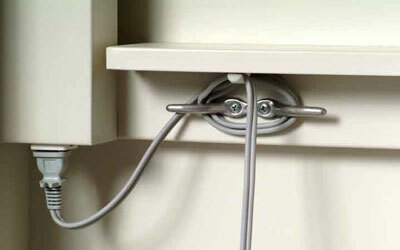 Perfect for areas where you want to iron, but the wall/surface can’t be penetrated for recess mounting. 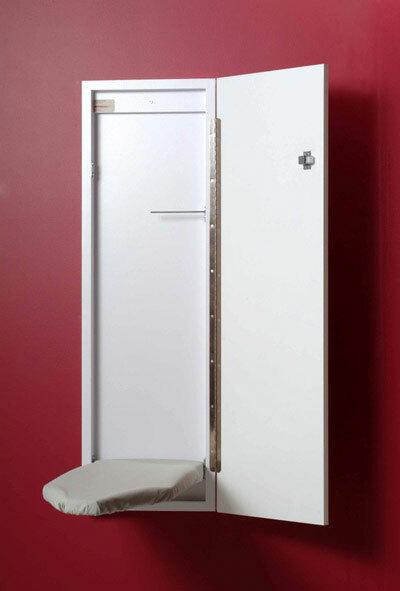 You have fast access to the ironing board, without in-cabinet iron storage. 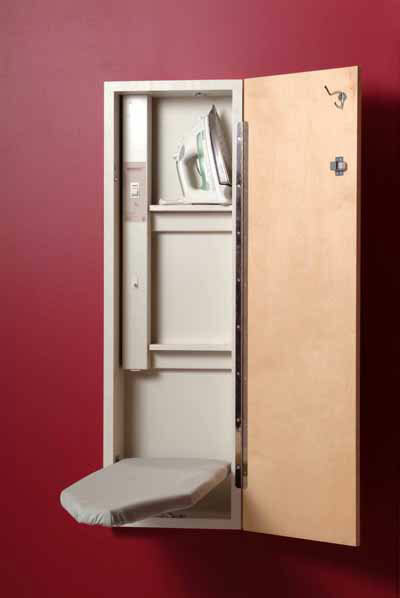 All models come with a standard birch door. All wood doors come unfinished, and can be stained or painted to match your décor. ...no place to leave your iron when moving or turning your garment? 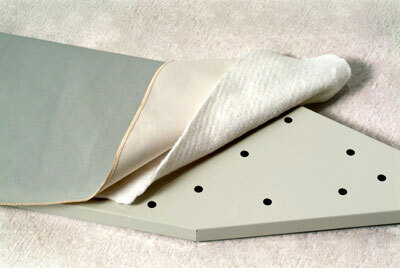 Place the iron in this handy heat resistant iron rest. 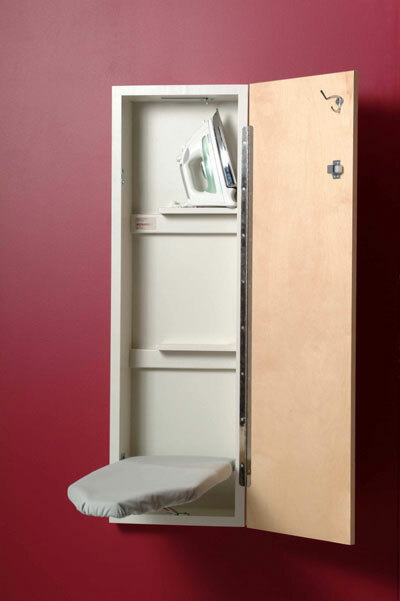 This allows for more useable space on the ironing board while making your garment adjustments. : ...more than just a few garments to iron? 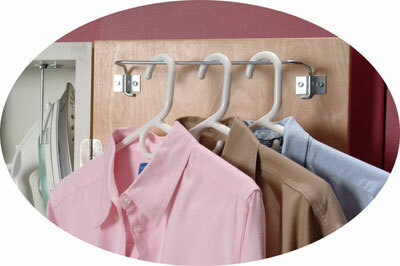 The garment bar can hold multiple clothes hangers, making it more convenient to perform continuous ironing. 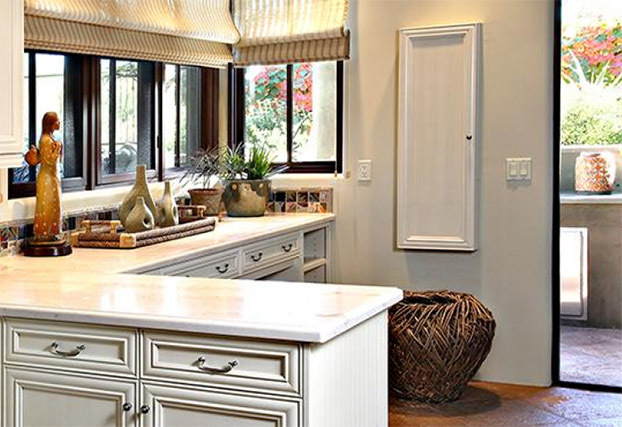 Built-In Ironing Centers; Towel Dispenser; Toaster Center.